This is the thinnest the ice has been in over 1,500 years. Arctic air temperatures are increasing at a “phenomenal rate” – double the rate of global temperatures, according to the 2017 edition of the National Oceanic and Atmospheric Administration’s (NOAA) arctic report card. “The sea ice is melting, the Greenland ice sheet is thinning and when we put all those signs together, those things are going to have a big impact for people living all around the world, not just in the Arctic,” Jeremy Mathis, director of NOAA’s Arctic research branch and co-author of the report, told Futurism. The report’s bottom line: the Arctic is warming twice as fast as the rest of the world. Among the expected impacts, Mathis mentioned rising seas that will flood coastal settlements all over the world, as well as changes in global atmospheric patterns that will increase the frequency of extreme events. The report highlights physical and biological changes to the arctic region and its fragile ecosystem. Findings show that temperatures in 2017 have been relatively cool, contributing to a slowing of the summer ice sea loss, and a below-average shrinking of the Greenland ice sheet. But when taken in context, this year’s observations indicate that Arctic air temperatures are warming at double the rate of the global temperature increase. By reconstructing the state of prehistoric Arctic ice using ice cores and fossils in the place of temperature measurement, NOAA scientists discovered that such a rapid decline in the ice surface area hasn’t been seen in the last 1,500 years. “We looked at data from satellites that are orbiting the Earth, to information collected by ships and airplanes that go into the Arctic and work at certain times of the year, all the way to local residents,” Mathis said. But despite having a full suite of instruments and sensors, changes are happening so fast compared to a decade ago that scientists will need to boost their research capabilities. “We need more observations to get a better idea of what the Arctic is going to look like going forward, because there is not going to be a new normal. It’s going to change every single year,” he said. “Unfortunately, in terms of prior emissions we have locked-in a certain temperature” Brenda Ekwurzel, a senior climate scientist with the Union of Concerned Scientists told Futurism. “The question is whether we can slow the pace of that change by reducing emissions,” she said. 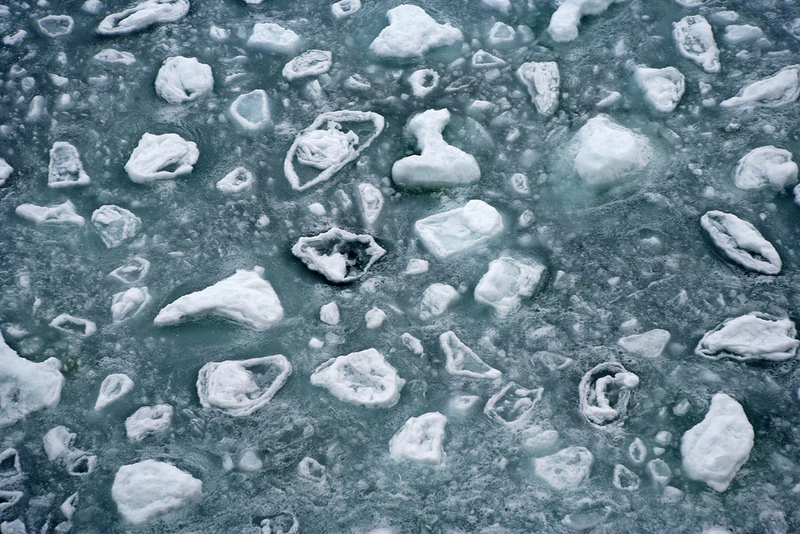 Pancake ice floating in the Arctic Ocean north of Russia. Credit: NOAA. The current state of the Arctic is “the strongest indicator we have for doubling down on nationally determined contributions within the Paris Agreement, which entered into force recently,” Ekwurzel said. “Looking at the pace of change, it makes it more important for countries to increase their ambitions,” she concluded.